The Information Content (IC) of a concept quantifies the amount of information it provides when appearing in a context. In the past, IC used to be computed as a function of concept appearance probabilities in corpora, but corpora-dependency and data sparseness hampered results. Recently, some other authors tried to overcome previous approaches, estimating IC from the knowledge modeled in an ontology. In this paper, the authors develop this idea, by proposing a new model to compute the IC of a concept exploiting the taxonomic knowledge modeled in an ontology. In comparison with related works, their proposal aims to better capture semantic evidences found in the ontology. To test the authors’ approach, they have applied it to well-known semantic similarity measures, which were evaluated using standard benchmarks. Results show that the use of the authors’ model produces, in most cases, more accurate similarity estimations than related works. The growth of the so-called Information Society has produced an enormous amount of textual electronic information. Contrary to numerical data, which can be directly managed by means of mathematical operators, the coherent interpretation of textual data is challenging. Since textual resources consist of words or noun phrases, which refer to concepts that represent their meanings, tools and techniques are needed to enable a semantic interpretation of textual terms. Within the area of semantics, Information Theory has played an important role. Many authors (Jiang & Conrath, 1997; Lin, 1998; Pirrò, 2009; Resnik, 1995; Sánchez & Batet, 2011; Sánchez, Batet, Valls, & Gibert, 2010) have relied on the notion of Information Content (IC) of term conceptualizations to quantify term semantics. Since the IC of a concept states the amount of information provided by the associated term, it provides a numerical measure that enables quantitative comparisons of terms, according to their underlying semantics. The assessment of semantic similarity is one of the most interesting applications: it quantifies the taxonomic resemblance between compared terms (e.g., wrestling and boxing are similar because both represent concepts that are specializations of contact sports). Since semantic similarity is a fundamental principle by which humans organize objects, it has been extensively used in the past in a variety of natural language applications such as automatic spelling error detection and correction (Budanitsky & Hirst, 2001), word-sense disambiguation (Patwardhan, Banerjee, & Pedersen, 2003), question answering (Tapeh & Rahgozar, 2008) or synonym detection (Lin, 1998). In the field of knowledge management, assessment of semantic similarity has aided in tasks such as information extraction (Sánchez & Isern, 2011; Sánchez, Isern, & Millán, 2011), thesauri generation (Curran, 2002; Hwang & Kim, 2009), knowledge integration (Shakya, Takeda, & Wuwongse, 2009), information retrieval (Fanizzi, d’Amato, & Esposito, 2009; Hliaoutakis, Varelas, Voutsakis, Petrakis, & Milios, 2006) or ontology learning (Ramezani, 2011; Sánchez, 2010). 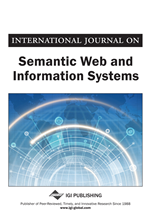 Practical applications, such as privacy-preservation of textual data (Martínez, Sánchez, & Valls, 2012; Martínez, Sánchez, Valls, & Batet, 2012), can also be found. From the variety of similarity paradigms available in the literature, IC-based measures are some of the most accurate and commonly used ones (Formica, 2008; Jiang & Conrath, 1997; Li, Bandar, & McLean, 2003; Resnik, 1995). These calculate the degree of resemblance between terms, as a function of the amount shared and non-shared information (i.e., IC) of their conceptualizations. Hence, a proper estimation of IC of concepts corresponding to the compared terms is crucial to enable accurate similarity assessments. In the past, authors used to base the IC calculus on concept appearance probabilities in textual corpora (Resnik, 1995). Corpora-dependency introduced a series of problems such as data sparseness, when limited corpora was available, or scalability issues, due to the need of manual pre-processing of text (Sánchez et al., 2010). To overcome these issues, several authors have proposed to base the IC calculus on the knowledge modeled in an ontology (Sánchez, Batet, & Isern, 2011; Seco, Veale, & Hayes, 2004; Zhou, Wang, & Gu, 2008). In these works, the knowledge structure that ontologies provide have been exploited to estimate the degree of generality/concreteness of concept and, hence, to quantify their IC.